The working relationship between singer and multi-instrumentalist Robert Berry and the legendary keyboard player Keith Emerson started in the year 1988. The plan was to form a more melodic and pop/rock oriented band (compared to ELP) which would allow Emerson (and drummer Carl Palmer, who soon joined) to reap some of the success that Asia and GTR had in that period. The result of that collaboration between Emerson, Berry and Palmer was the band ‘3‘ and the album ‘To The Power of Three‘ released worldwide by Geffen Records. The initial single ‘Talkin‘ ‘bout‘ reached #9 on the Billboard charts and the band toured the US and also performed at the Atlantic Records 40th Anniversary concert in 1988. With the success of the first single Geffen thought the band should go back into the studio and do a second, but Emerson felt uncomfortable with the plans and consequently the band decided to call it quits, even if several songs were already sketched (being released later on Robert Berry‘s solo albums). 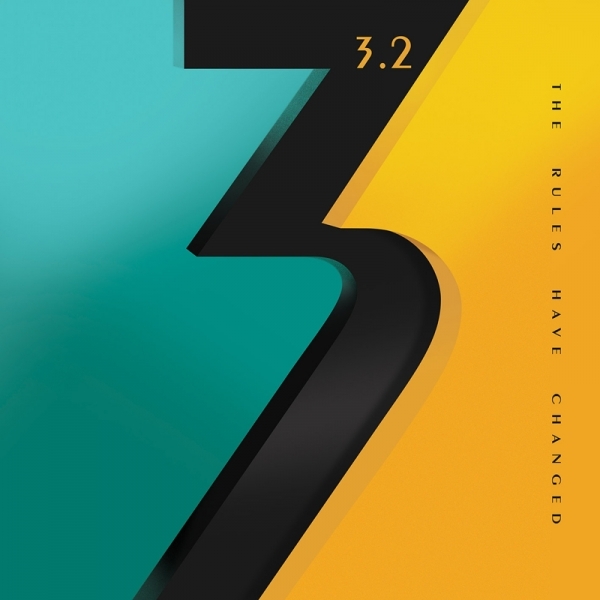 In October 2015, conversations about a new ‘3‘ album started between Robert Berry and Frontiers President Serafino Perugino. Robert managed to spark an initial interest from late Keith Emerson in the project, getting him to start exchanging musical ideas before he died in March 2016. After Emerson‘s death in 2016, Berry was left with Emerson‘s final musical ideas for the project. From old cassette tapes, keyboard parts written over the phone and long discussions between the two friends about style, the framework of the album was set and ready to be brought to life. After several months, Robert decided to resume work on the material that was created and craft a record that would ultimately be a fitting tribute to Keith Emerson‘s musical legacy and at the same time re-energize and update the musical style started with 3 some 30 years ago. The final result is 3.2, a reboot of the original ‘3‘ project centered around Robert Berry‘s amazing talents. This is a record that deserves to be heard by each and every fan of great Keith Emerson and includes some exquisite musical parts which every Prog Rock music fan will be delighted to indulge in.